As it was scheduled, Samsung has announced the Galaxy S7 and S7 Edge at MWC 2016, Barcelona just an hour ago. There is some significant improvement over its ancestor, the Galaxy S6. These includes a better camera with better aperture f/1.7, that means more low light shots; also, Samsung has brought back the microSD card slot which will be placed on top of te device and some kind of cooling mechanism for fighting the heating problem. 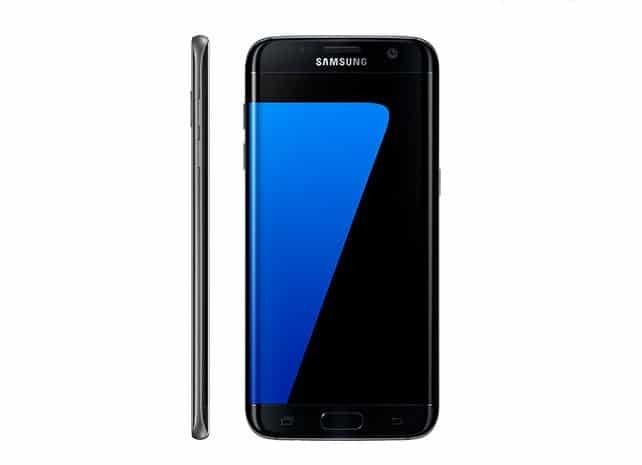 Now, the Galaxy S7 sport a 5.1-inch Super AMOLED display having a 2K resolution (2560×1440) with a pixel density of 577ppi. It is powered by Snapdragon 820 or Exynos 8890 SoC (depending upon region) coupled with 4GB of RAM. The Galaxy S7 will have two variants base on storage- 32GB and 64GB, also there is a microSD card slot. The phone sports 12MP Dual Pixel Camera with smart OIS, f/1.7 aperture, and a 5MP front camera which also has got f/1.7 aperture. It will support dual SIM card via hybrid tray and will be juiced by a 3,000mAh battery, of course with fast and wireless charging. Also, it has got a fingerprint scanner placed on the home button just like the older flagships from S Series. The Galaxy S7 Edge is pretty similar in terms of specs, with some minor differences here and there. The phone sports a bigger 5.5 inch Super AMOLED curved display having a 2K resolution (2560×1440) resulting a pixel density of 534ppi. In terms of camera, RAM, processor there are no differences at all. But, The Galaxy S7 Edge packs a bigger battery of 3600mAh inside. Both the Galaxy S7 and S7 Edge are almost same, not even an upgrade to USB type-C, however, there is fast charging and wireless charging which Samsung claims to be pretty fast. Both Galaxy S7 and S7 Edge are IP68 rated water resistant, that means they can survive under 1.5 meters of water for up to 30 minutes. Samsung played with the display a bit and introduced ‘always on’ display, which is also there on the LG G5 which was launched just a couple of hours ago. Samsung has claimed that they have improved their processor to improve performance up to 20% and the GPU will deliver 63.9% better performance. 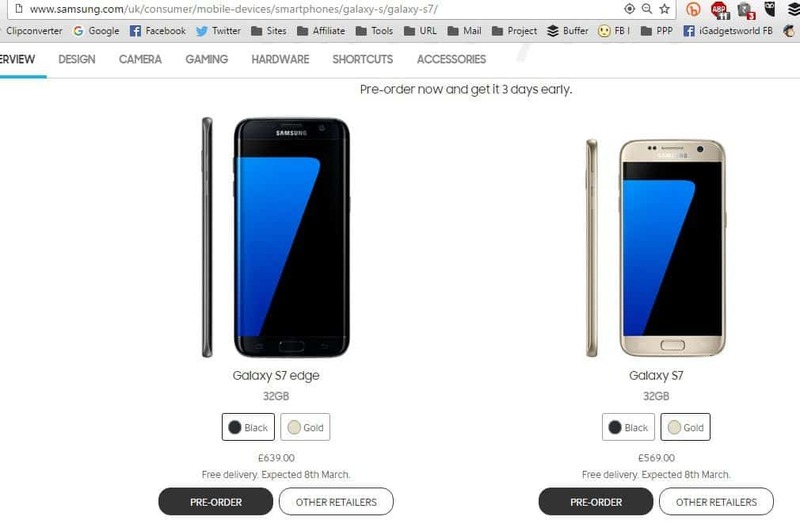 At the event, no one has spoken a word regarding the prices and availability of Galaxy S7 and S7 Edge, but looks like we already have got the details via Samsung UK official website, where the price for Samsung Galaxy S7 is £569.00 (Rs. 55000 or $811 approximately) and Galaxy S7 Edge is priced at £639.00 (Rs. 65000 or $911 approximately). Also, Samsung will be giving free VR headsets in selected countries for those who preorder these devices. However, if you’re willing to purchase any one of them, take a look at the specs comparison sheet below and decide what suits you the best.